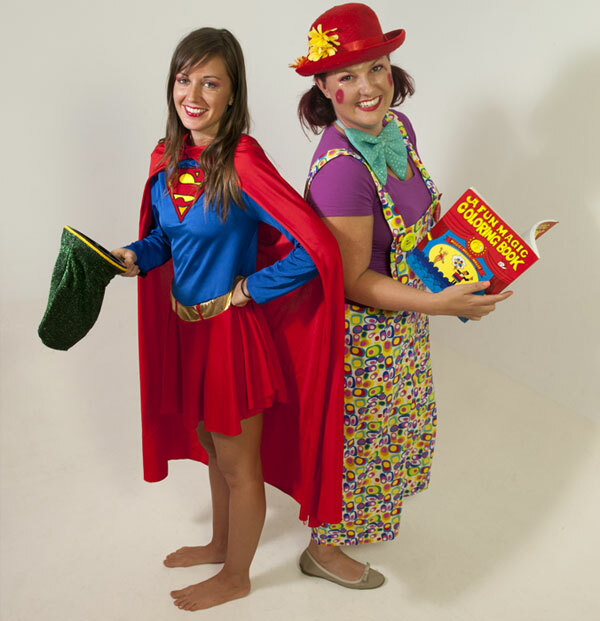 Fairy Freckles is a mischievous, fun- loving fairy who flies to children's birthday parties all over Melbourne. 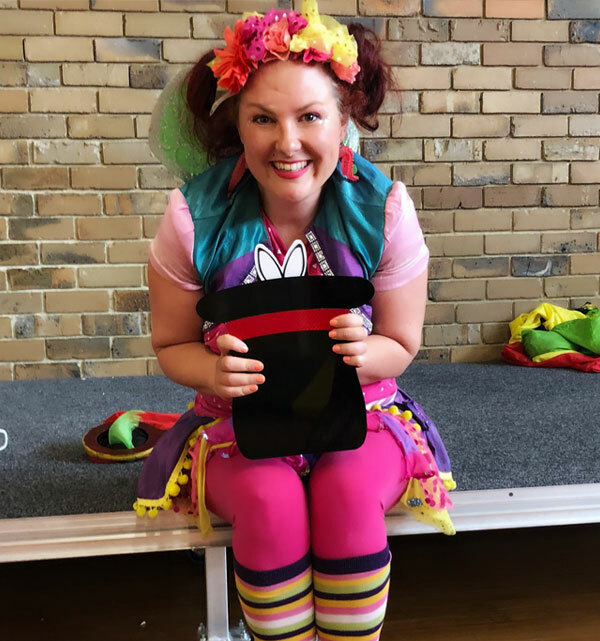 Fairy Freckles and her friends love nothing more than to make the birthday child's special day a magical experience with an amazing magic show, fun-filled games, rainbow song and dance, super balloon creations and beautiful face painting. 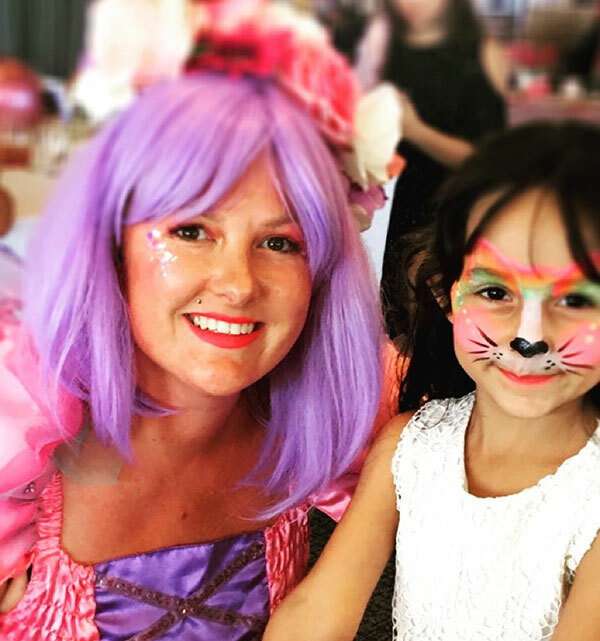 All of our children’s party entertainers are dedicated to bringing the most exciting, professional kids parties Melbourne has to offer, right to your doorstep. Christenings, Baptisms, Weddings, Fetes, Toddler Parties and all special events - let Fairy Freckles and her friends entertain the kids, no stress for you! 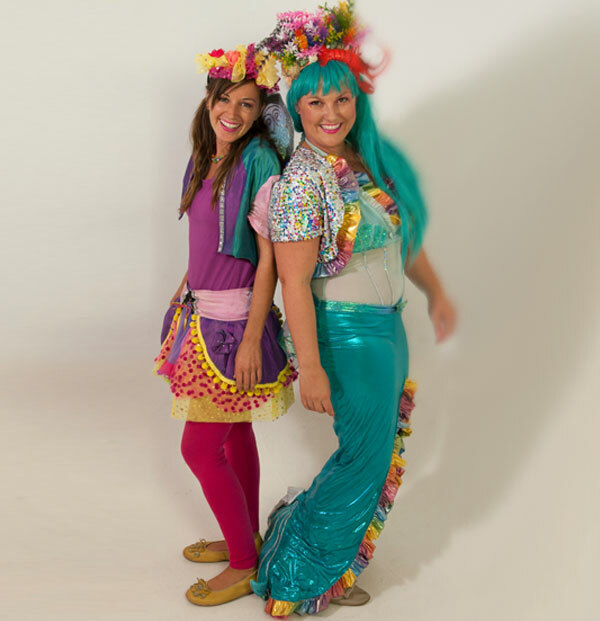 Fairy Freckles and Friends are professional kids party entertainers. Starting out offering kids party entertainment Melbourne, they gained a reputation as the very best entertainers in town! A child’s world is full of awe and wonder and their parties should be magical events also. As a parent, nothing is more important to you than your son or daughter and so making sure they have the best possible party is naturally high on your agenda. Let Fairy Freckles and Friends give your children the best possible party. Birthdays, Christmas, Halloween, or just a party because you feel like a party, Fairy Freckles and Friends will take the pressure off of you so you can relax and enjoy the party too. Fairy Freckles and Friends was founder by Carly Ford, who has been providing kids party entertainment for over half a decade. Following training in drama, song and dance she has worked as a performer for 10 years, performing in children’s shows throughout Australia and Asia. Her creativity and natural flare for working with children led to the development of Fairy Freckles and Friends, where she funnels her skills into creating fun characters and brining the magic to kids’ parties. Who’s going to be providing your kids party entertainment? Fairy Freckles and Friends have a range of characters who you can invite to lead the fun and games. Leader of the pack is Fairy Freckles herself. This fun loving fairy lives way out Somewhere Over the Rainbow, but she’s ready to jump to any invitation and flap her fairy wings as fast as she can to make it to your party. This fun loving magical and mischievous fairy is a master at face painting and gets her magic powers from the freckles on her face. She also loves to transform party goers into little fairies. 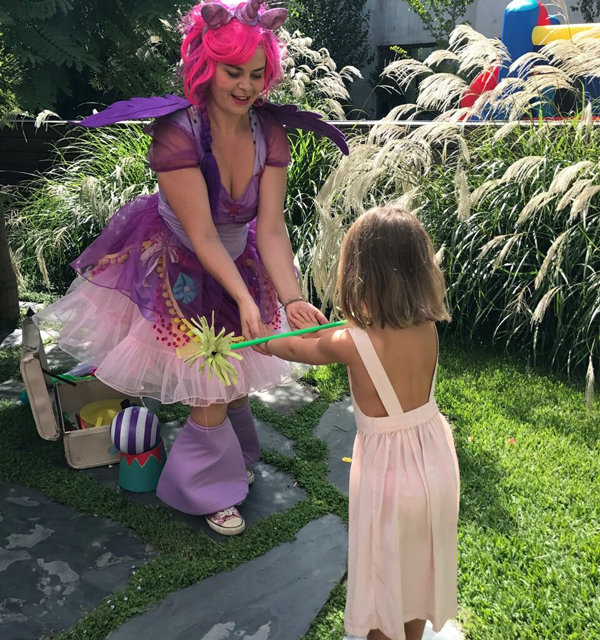 If your child is dreaming of a fairy party Melbourne or a fairy party Sydney, The Flower Fairy is the perfect party guest. She lives with Fairy Freckles Somewhere Over the Rainbow. The Flower Fairy spends her time painting the world’s flowers, making sure they always look pretty, but she loves to take a day off to entertain at parties. Making flowers from balloons, face painting and whole range of games are all in the Flower Fairy’s party bag. She’s a guest you’ll never forget at your fairy party. In need of a laugh? Well you can rely on Giggles the Clown to deliver that! Fairy Freckles’ best friend, Giggles has an infectious laugh and she’ll have you all rolling around in stiches – and you won’t find anyone making better balloon creations than her! The Rainbow Mermaid loves her life under the sea, but also loves to come ashore as soon as she hears that party bell ringing. When she’s swimming below the waves her friends the rainbow dolphins show her magical tricks which she entertains with at parties. She spins and dances her way through the party spreading the fun. Unicorn Twilight Sparkle is the unicorn princess of the Friendship Rainbow Kingdom. Face painting and making butterfly balloons are her speciality, ad her very special unicorn magic is used to good effect making sure everyone at the party is having a great time. Pirate Pearl and her mate Pirate Pete live on a floating pirate ship and will kick up a storm at your party by making balloon swords and creating a miniature army of pirates. Fairy Freckles and Friends have a range of party packages from which you can select and they also welcome enquiries for bespoke party entertainment requirements. The 1-hour party includes a magic show; games including magical freeze, pass the parcel and rainbow dance; face painting or ballooning and bubble blowing. 1.5 or 2-hour party packages include a magic show; special birthday wish; games including parachute play or a treasure hunt; bubble blowing; face painting and ballooning. When it comes to toddlers, we’ll develop a bespoke package depending on your needs that can include some of the following activities: Magic show; special birthday wish; rainbow song and dance to popular children’s music; puppets; bubble blowing; face painting and ballooning. And because it’s important that every child feels special at the party, all of our party packages include a gift for every child at the party too. As well as providing complete kids party entertainment, Fairy Freckles and Friends also provide roving entertainment for children at your next event. You may be holding a fete, product launch, company fun day, or even at your wedding. Roving entertainers are a great way to make sure your young guests are having as much fun as the adults. 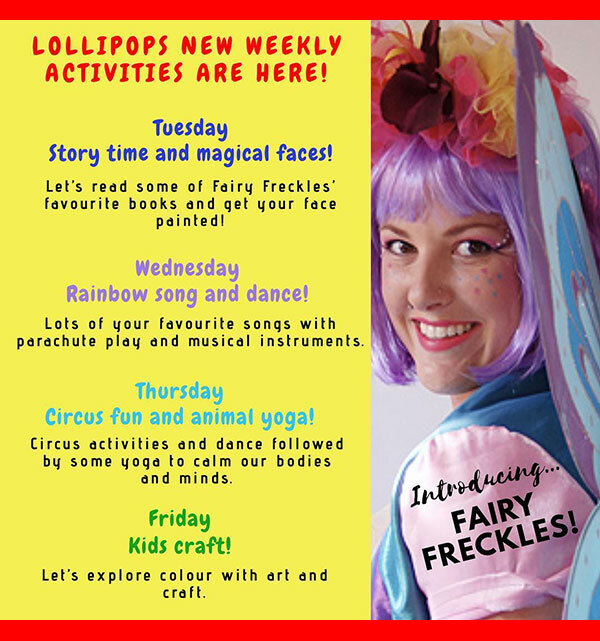 Fairy Freckles and Friends can provide balloonists, magic makers, hula hoopers, giant bubbles and fun and games. Just give us a call to discuss your individual needs. Fairy Freckles and Friends main base is as kids party entertainers Melbourne. They’ve brought the magic to parties for hundreds of children over the years, providing both parents and children with happy party memories that will last a life time. 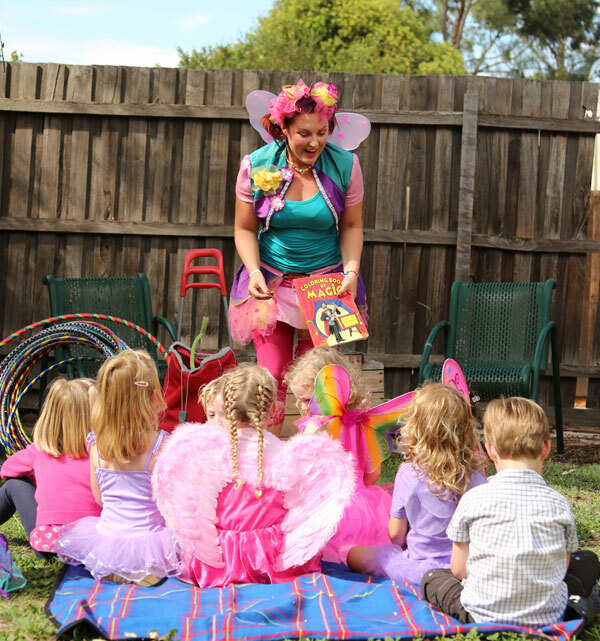 Fairy Freckles and Friends are now also pleased to offer themselves as kids party entertainers Sydney. Fairy Freckles and Friends understand that you may feel some pressure when organising your child’s party because you care so much that it’s a great success. By hiring professional entertainers for your party, you’ll be off loading a load of organisation before hand and a lot of pressure on the day. You’ll be able to sit back – or get up and join in – and have a great time as well. Check out our gallery and see some of the amazing parties we have put on for children over the years. Give us a call, or drop us an email, and we’ll get to work planning your party entertainment! Check out all our fairy party pricing options here or contact us directly by phone or email. Has your child joined the unicorn craze? 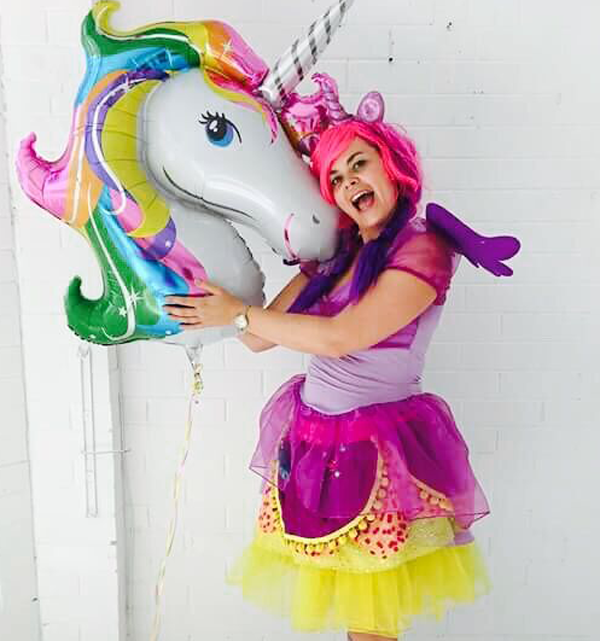 Have one of our fantastic unicorn characters come to your party with her bag full of magic, games, face painting and balloon creations! Fairy Freckles has a new shop! The perfect special gift for the birthday girl or your guests. All handmade by Fairy Freckles. Fairy Freckles has a new deluxe magic show. Is it Abracadabra or stinky socks that makes the magic work? Only the unicorns know the answer to that question. Ask about our new kids party characters to join the team! How far in advance do I have to book and how do I do this? We appreciate as much time as possible to lock in the perfect package for you. Two weeks or more in advance is great, however we do accept last minute bookings in some cases up to a day before, we will try our best to help you depending on entertainer availability. You can fill out our contact form or give us a call to book anytime. What do I need to provide for you on the day? Our entertainers will bring all of the equipment for the activities including music and prizes. We just require a table and two chairs for the face painting. What time is best to have a kid’s party? Anytime works really, however through our years of experience we have found that starting in the late morning and having party food through out the whole time or serving at lunchtime is perfect. We usually do the interactive part of the entertainment first so just when the children get hungry we can move onto face painting or balloons which is mostly one on one time, so the other kids can have a rest and something to eat. Are there any requirements for the party space? We are used to working with all sorts of spaces big and small! We just ask that you keep the weather in mind; the party people and entertainer may need shelter from the rain or wind and shade if it’s a sunny day. Park parties are great in the warmer months. Fairies love to be outdoors! A good thing to keep in mind is the less distractions and loud noise the better for show and games time to ensure the children can get the most out of the experience. We have a few more kids attending than first thought, is that ok? Most of our packages are based on approximately 15 children. In most cases if there were a few more that won’t be a problem, however for over 20 children the requirements may change. We don’t need to know the exact number of children for any of the games that we play. I have a small/large number of children, do I pay per child? No, the pricing is based on the amount of time the entertainer spends at the event and travel time. They will fit as many activities into that time as possible taking the amount of children into consideration. Two entertainers should be considered for parties with over 20 children. In most cases we will service parties within an hour of the city’s CBD. Anything over half an hours travel may incur an approx. $15 travel fee, which will be determined at the time of booking. Which characters are suitable for both boys and girls? We find that Giggles the Clown (who has non scary make up) and Fairy Freckles are the most gender-neutral options; they are both bright and fun. We also have a bright and colourful character, which appeals to everyone. Having said that our entertainers are experienced at engaging kids and in most cases even the older kids will fully participate, no matter the character.